NUREMBERG, GERMANY and TAOYUAN & TAIPEI, TAIWAN, November 10, 2017 /24-7PressRelease/ — OPVIUS GmbH and Cambrios Advanced Materials are proud to announce the successful joint development of semi-transparent organic photovoltaic (OPV) modules featuring a silver nanowire (AgNW) bottom electrode. 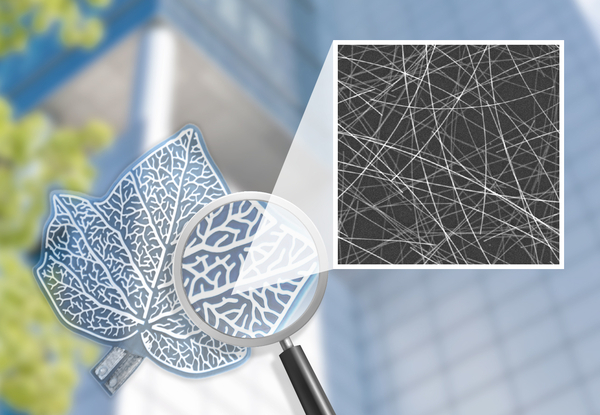 Although the effectiveness of OPV modules on Cambrios’ nanowire-coated substrate has been demonstrated before, this is the first time that this combination of technologies has been applied to free-form modules. To realize this joint project, OPVIUS deployed their unique, proprietary production process combining coating, printing, laser structuring and lamination techniques on a full-sized roll of plastic substrate. The ClearOhm AgNW conductive electrode layer was produced via slot-die coating at the production line of TPK Touch Solutions in Xiamen, China. The product showed a sheet resistance of less than 10 ohm/square while the transparency remained above 85% in the visible range. Cambrios will showcase prototypes of the modules at the C-Touch & Display Trade Show and Conference in Shenzhen, China. The event will be held on November 24th till 26th 2017. State-of-the-art multilayer bottom electrodes on plastic substrates are manufactured using large machinery to apply sputtering processes that require a high-vacuum environment. Obligatory long pumping times combined with substrate films which only allow a certain temperature budget result in higher cost of manufacturing. About OPVIUS: OPVIUS GmbH, founded in 2012 and located in Nuremberg and Kitzingen (INNOPARK Kitzingen), is among the world-leaders in the field of organic photovoltaics. OPVIUS produces organic solar cells with a focus on client-specific solutions. In addition, the company is also active in the field of research and development, in order to continue to provide its clients with creative and innovative solutions. In this regard, OPVIUS uses a unique production process, combining printing, lamination, and laser structuring techniques. This advanced technology is easily scalable and allows the production of the utmost individual, customer-specific designs. OPVIUS also helps clients with system solutions in order to integrate OPVs into already existing or new products. About Cambrios: Cambrios Advanced Materials leads the industry in providing innovative solutions using nanotechnology. Its breakthrough silver nanowire-based transparent conductors simplify electronics manufacturing and improve end-product cost and performance for electronic devices. The company’s ClearOhm product is a transparent conductor with significantly higher optical and electrical performance than traditional materials and methods. Applications of ClearOhm material include touch screens, EMI shielding, ePaper, OLED lighting and thin film photovoltaics. Cambrios has its R&D center in Sunnyvale, California and business/operation center in Taoyuan, Taiwan. About TPK: TPK was founded solely for touch solutions in 2003. We are the inventor of transparent glass-based projected capacitive (P-Cap) touch solutions and the first company for mass production. Since Q2 2010, TPK has expanded its touch product offering into PET-film based solutions. Our production sites are located in Xiamen of Fujian Province, China. TPK is completely and vertically integrated for one-stop shopping for touch solutions.